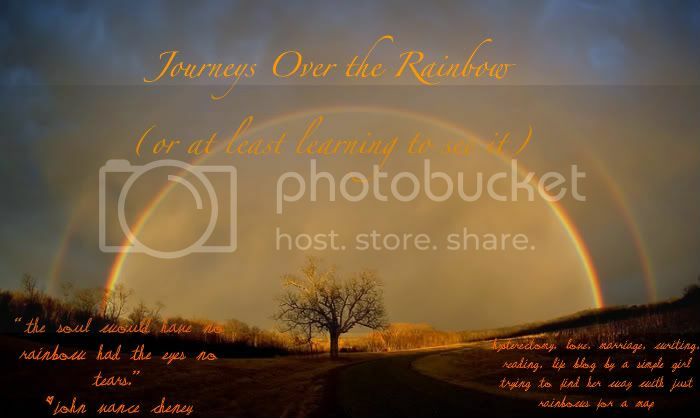 Journeys Over the Rainbow: Award! Thank and link back to who gave you the award. 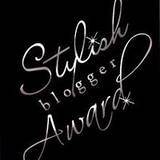 Award up to 15 bloggers, and let them know about the award. So first, thank you Sonja! I love you girl I would be lost without you! 1-My fingernails and toenails are always painted. I have over 200 polishes. My fingernails are a different color every single day, but my toes are always some shade of pink. It's kinda my thing. 2-I blog about my nails and other beauty stuff here. 3-My hair is longer right now then it has been in years. It is driving me insane-its all over the place and I have to constantly brush it to keep it tangle-free. 4-Monday is Valentines Day, which is also my three year wedding anniversary to the best guy ever! 5-I fully support LGBT issues...and not just because of my sister who is a member of that wonderful community. 6-I am the only liberal in my immediate family. I am also the only agnostic. 7-I have 8 tattoos and 11 piercings. And I want more. Thanks again for the award, Sonja, and to the rest of you, Congrats!